"This is a great story! Many of the characters you love are back and creating havoc! Fans of Susan Mallery and Jill Shalvis will love this series." "A romantic, funny and Christmassy page turner that you won’t be able to put down until the very last word—and even then, you’ll wish for more (at least, I did!)." "Snowbound at Christmas was a sassy and fun holiday romance that had me believing in the magic of Christmas. " "I was a little skeptical to see where this book was going to go, but boy did I enjoy this book. The quirky characters especially Grayson's grandmother are a hoot. Ty was one of my favorite characters. I just loved his reactions to meeting the McBride men. . . I liked the who done it aspect to the story. It had me guessing who could be behind the murder plot. The ending couldn't have gone down any better for this story. It fit so perfectly and has me in the holiday spirit." "Twists in the mystery lurk around every corner, and the reveal was a satisfying surprise. Sweet, homey and comfortable with enough action to not allow drifting off, this was a wonderful dip into the holiday season." "Snowbound at Christmas is a sweet, sassy and suspenseful romance by Debbie Mason. The fifth installment in the always fun Christmas, Colorado series is a laugh out loud novel that old and new fans are sure to enjoy. With an intriguing storyline, a cast of eclectic characters and a sweet love story, Snowbound at Christmas is a captivating novel that is fast paced and engaging. This latest installment in Debbie Mason’s heartwarming Colorado, Christmas series is an absolutely delightful read that I highly recommend to readers of contemporary romances." 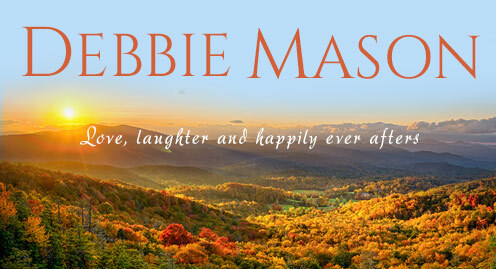 "By the end of Snowbound at Christmas, I was completely under Debbie Mason's spell. Although her books are "fade to black," the sexual chemistry still jumps off the page. I loved the mix of sweet and quirkiness that Debbie brings to her characters. I really need to pick up her previous books before the next Christmas, Colorado book comes out in 2016." "This is my first Debbie Mason book and I am hooked. It has just the right amount of romance and mystery to make this holiday book a delightful read." "I like having a little side of mystery thrown into a story and this good feeling story has plenty of it." "I enjoyed this diva drama of secrets, suspense, and attempted murder. There was a lot of intriguing characters which made this book interesting and a page turner. The romance plus whimsical Christmas theme made this more than a soap opera novel. ... A great read for sitting by a warm fireplace." 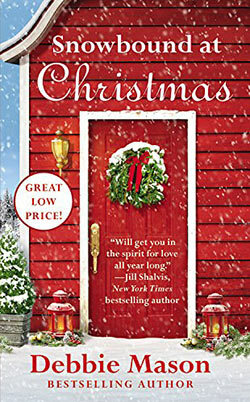 "Snowbound at Christmas is wonderfully entertaining in an over-the-top, soap opera-y kind of way. With a very colourful cast of characters, and a plot that's truly worthy of the finest daytime television, I really couldn't put this book down." "Drama, secrets, suspense, murder attempts, a little bit of romance and a mean girl makes up this fun and whimsical holiday novel." "Mason's fifth heartfelt contemporary set in Christmas, Colo. (After Wedding Bells in Christmas)is a laugh-out-loud treat. Readers will chortle over the Christmastime antics of the spoiled sister, overprotective mother, meddling grandmother, loyal friends, and jealous castmates." "4.5 stars! Mason’s brisk pacing and inventive plot define this first-rate entry in her Christmas Colorado series. The clever mystery that hampers the trail to Cat and Grayson’s happily ever after is engaging. Delivered with a touch of humor, it also explores the pitfalls that exist between an insecure woman and her confident twin."